Judith Harlan is co-founder and co-owner of Lucky Bat Books. She is a Web-savvy writer with a vision of creating a support and leadership team for authors. She holds the hands of authors while they learn the ups and downs of e-marketing. She creates the Website and Web asset tools authors need to get their stories out; then, she teaches the authors to put those tools to work. She studies new trends and opportunities for writers. She’s what’s needed in this publishing world: experienced and adventurous a publisher with no intention of standing still. Ever. Mostly, she likes to read. And that core love is what makes her a Lucky Bat Books co-founder. She’s worked with Lucky Bat Books writers Gregory Benford, Janis Ian, Kim Headlee and others. 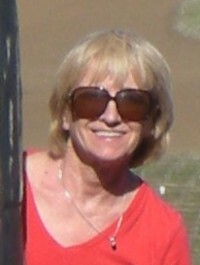 Judith is also a lifelong journalist and editor, with hundreds of magazine articles published in journals, business publications, and general circulation magazines and newspapers. She’s worked as editor, managing editor and writer, so we can say with all confidence: she knows the publishing industry from many angles. We like to say she’s the one who builds the bat houses for her wonderfully creative and batty crew and the writers she takes under her wing. Her books are all published by traditional national publishers, so she has insights to share about the traditional system of publishing, its gatekeepers and its royalty policies. Maybe because of her own experiences, she avidly embraces the new world of e-books and great possibilities. Just wanted to send you a note of thanks for your efforts with my latest Saito Izumi story. You did your usual fantastic job and the story is so much better for it. Saito could not have been in better hands. — David DeLee, author of the Saito Izumi short stories (by David Miller), plus many other stories and suspenseful novels.